Ben (at the back), Matt and Victoria display fine form as they head for the Lake. The past week has been so hot, it has simply begged for people to come jump into the water, and they have all responded. This is the reward -- the cool wonderful waters of Bondi Bay. This may be one of my favourite photos of the entire summer. The jubilation in Victoria's leap and Taffy's energy, with the sun sparkle, just make this 'work' for me. It makes me smile. And look at the concentration with which Taffy watches Matt demonstrate the correct form for a cannon ball! Wendy's been enjoying the hot sunny days this week, sitting on the covered deck at Cedars, cool drink nearby, knitting. These are some of the squares she is completing, here seen on the stretchers on the picnic table. They will, eventually, be brought together into a beautiful quilt. We think the colours are glorious! There is a charming covered bridge near Dorset, on the Paint Lake Road, that makes a delightful picnic stop. A short walking trail accompanies this feature, so it is worth taking the time to detour if you are in Dorset and check it out. The local community maintains it with tremendous flower boxes, and a bench where you can sit and simply admire the view. If just sitting staring into the distance isn't your 'cup of tea', don't worry. This is also the location of one of the Paint Lake Little Library boxes. You are welcome to take a book, or leave a book. So, pull out something interesting, and sit a spell! The Seed Spitting contest at the Tuesday Cook-out is serious stuff. This week, Tom and Gerry were our Officials for the Measurement Department. They were right into it, intent on getting it correct to the half-inch. That's a good thing, because you dont' want to mess about with the distances. You can tell by the concentration on Ben's face how focused the competitors can be. The audience is on the edge of their seats, too, with lots of cheering and heckling. Sam had a huge cheering squad. But to embody the spirit of the Game, you just cannot beat Gerry and Tom, who have been friends for years and co-ordinate their holidays to be here at Bondi at the same time each summer. When it was their turn to set aside the measuring tape and come to the line, there was nothing for it but to come together. No, where else do you get to shake someone's hand and say, "Well Spat." 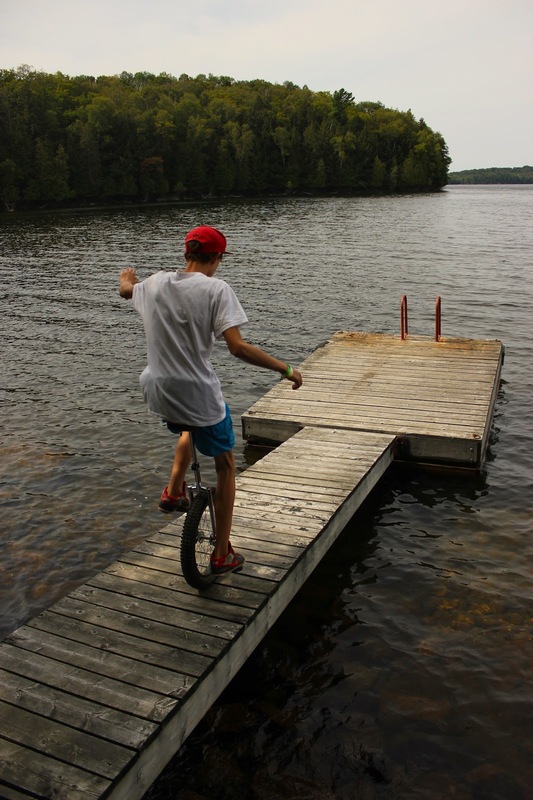 Sam is here this week, with his unicycle. Now, let us state right up front that we are impressed, mightily, by anyone who can actually remain upright on one of those things. It isn't as easy as riders might make it look. But we are very much impressed with Sam's skill -- on a floating dock, no less!! Now, that takes Balance, with a capital B! Our guests Margaret and Gunni live in Iceland. Computer programmers by day, by night (and days off!) they are Nerds Knitting, creating the most truly lovely garments. 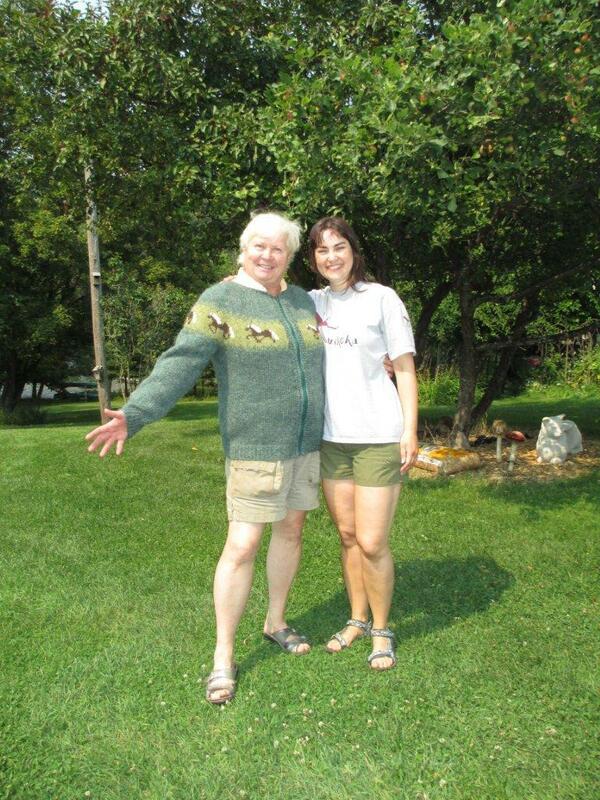 This summer, Margaret brought me a sweater, and honestly, it is just the most beautiful thing ever. There are Icelandic horses prancing around it, in all of their five special gaits, so it particularly perfect for me! 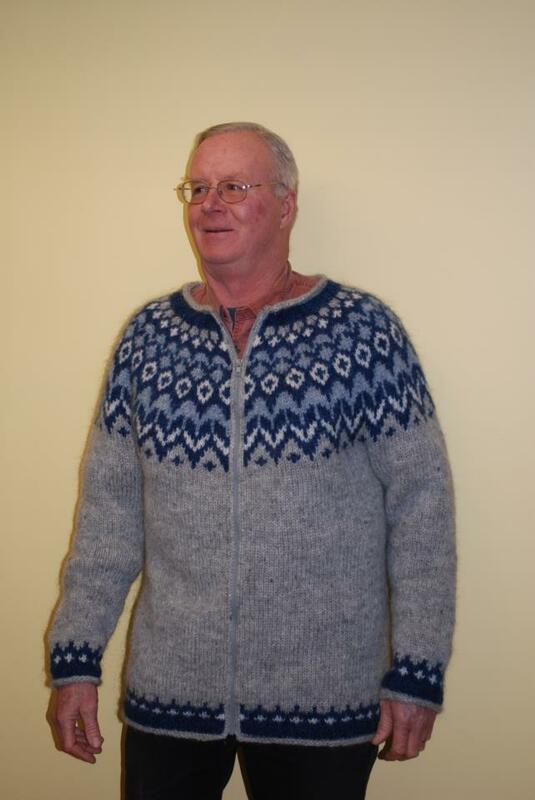 Last year Gunni and Margaret knit a sweater for Brian -- he wanted pink, but they talked him out of it, so they say. He looks great in this colour! Really, Margaret and Gunni, we cannot thank you enough! 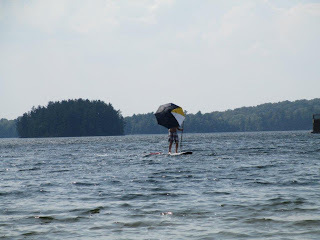 For those who think yoga on a SUP is hard (and it can be), you should try this! We spotted Mary Poppin's Stunt Double in Bondi Bay last week, That was impressive in itself. 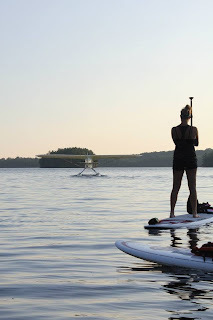 Paddle Boards are fun, and easy, but you do need some core strength or you'll find yourself exhausted from the very beneficial constant balancing act. 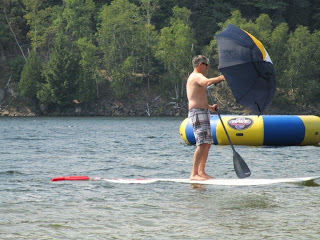 Add to that the speed of the wind, and the need to balance not only self, but paddle and (crikey!) 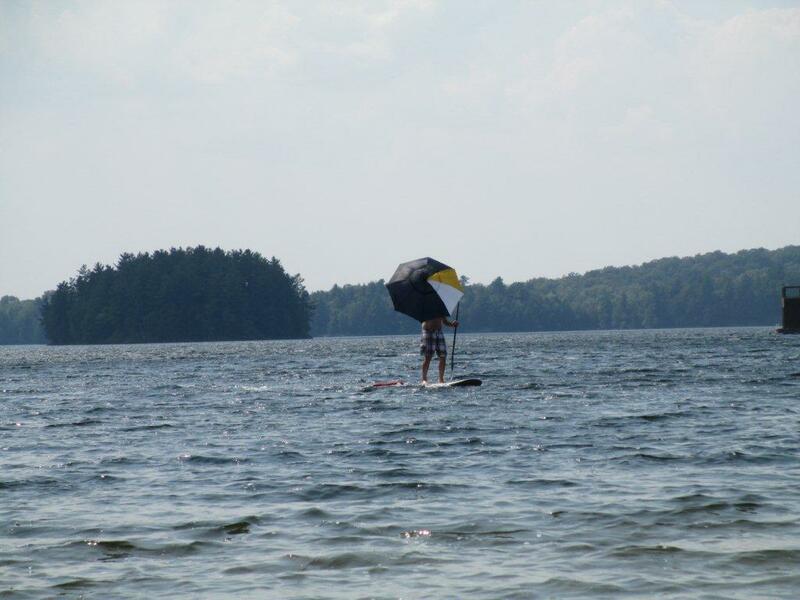 umbrella, and it's a rush. 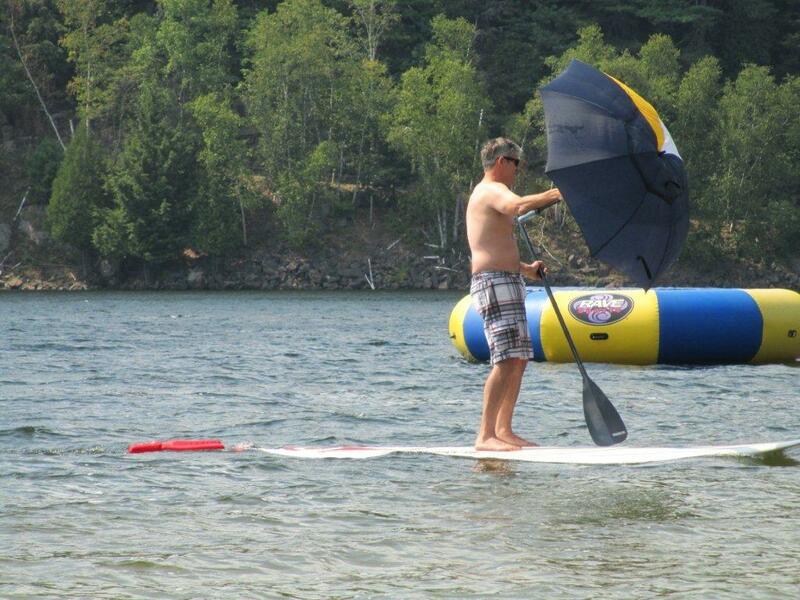 Leave it up to Brad to come up with something so gosh darn fun! 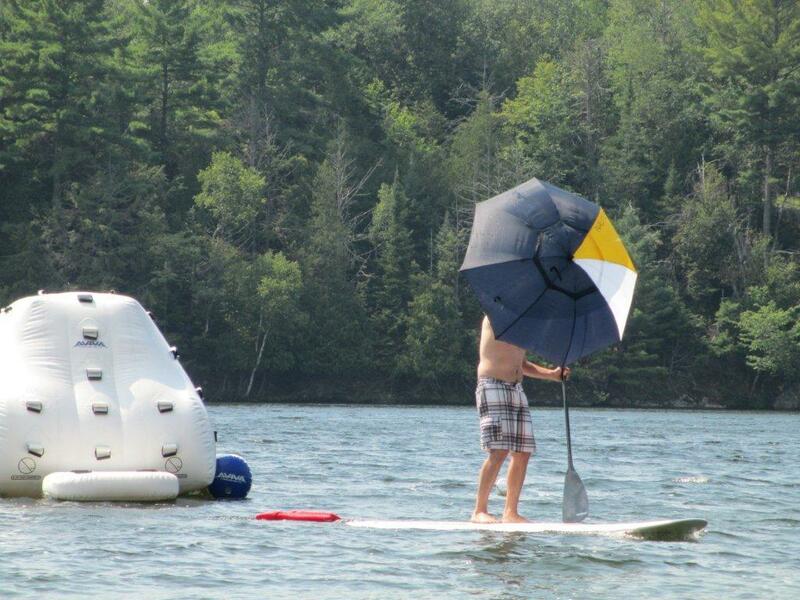 While Brad was into the speediest mode, his daughter Hannah was demonstrating the more Zen art of paddleboard yoga. Set against another gorgeous Bondi sunset, she demonstrated how to work the board, and the poses. This one takes quite a lot of balance. You can see from the ripples that the board is not totally stationary. Me, I fall over on dry land practicing this pose. Downward Dog is Taffy's favourite pose, yoga or otherwise. 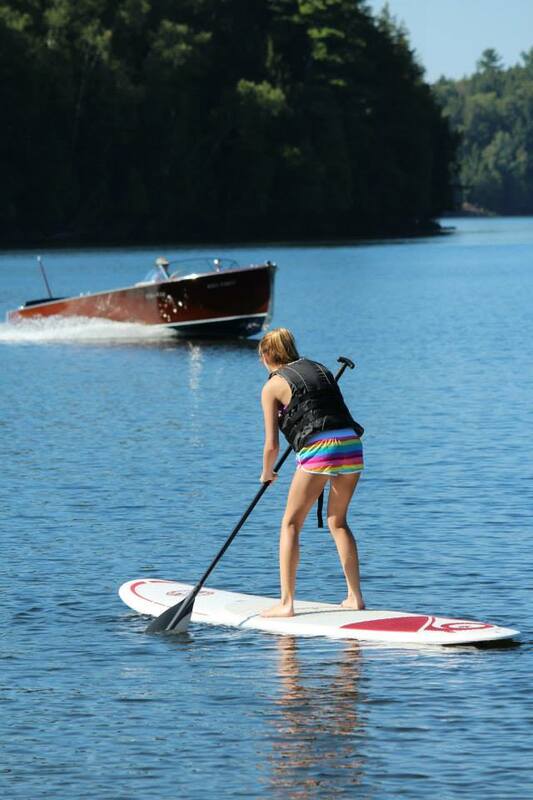 And Brandi found herself out there with a classic wooden boat, putting on a show. Or you might simply meet some fine folks, who are family! 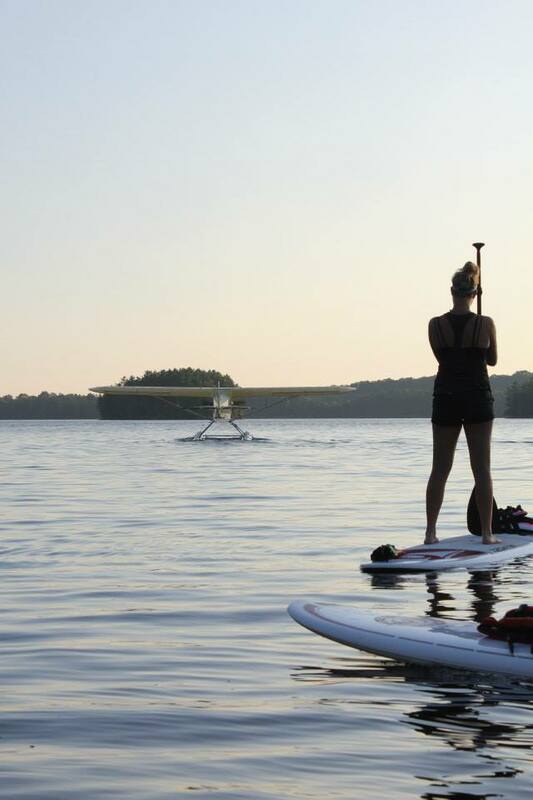 However you use the SUP, it's a fun way to be out of doors and on the lake, and we're all for that! Fuel? Fun? Why not Fuel the Fun? 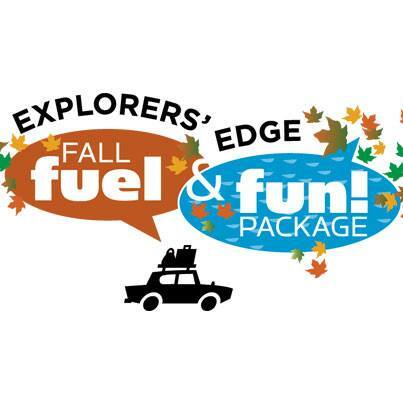 The Explorers' Edge Fuel and Fun promotion is back for the Fall! Book a minimum of 2 consecutive nights at a participating accommodation before September 15 for stay in the Explorers’ Edge region between September 16 and November 15 and you can register to receive one of 500 Fuel & Fun packages containing a $50 gas card and $50 in cash vouchers to spend at participating attractions, restaurants and shops throughout the region during that period. 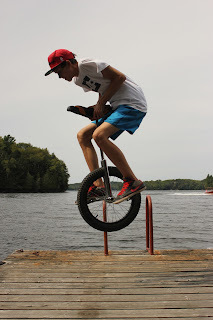 There's so much to see and do up here in North Muskoka at that time. The fall colours will be at their peak towards the end of September, early October. There's the Cranberry Festival in Bala, right after Thanksgiving. Hiking in the Park is superb -- as the leaves come down, the view opens up. Local restaurants linked to Savour Muskoka provide amazing dining experiences, and the little towns and villages are all far less crowded. Or simply take some time by the water or by the fireplace to let your soul unwind. We've got the accommodation -- Explorers' Edge has the Fuel. You get to have the Fun. Anjali, Ashok and Ronan spent a great week with us this summer before heading off to visit relatives around the globe, in Ghana. 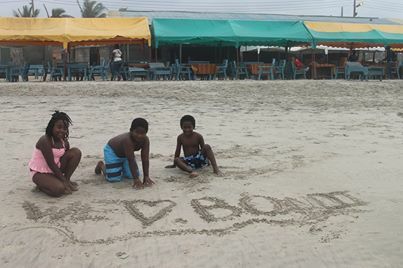 They recently sent this photo, to show that they are still thinking of Bondi! 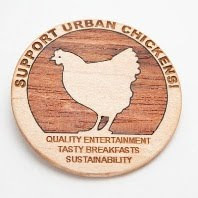 We are really delighted with this. Here we are, global!!! Looking forward to seeing all of these kids here again NEXT summer. This is a gadget. What it does -- before you sprain your brain guessing - is measure the temperature at the bottom of the lake. Almost instantly. It is being used by Greg Betteridge, a fisheries expert formerly with the MNR but now working for the Andrew Daniels Fish Stewardship Program. Along with Joanne, he is mapping the Lake of Bays looking for cold springs and seeps. Those are where the Brook Trout like to spawn. He was here in Bondi Bay last week, because cold springs are us. The entire front of our bay is plentiful with them. The down side is that our bay, like all the Lake of Bays, had the water levels raised way back when upon the installation of the dam at Baysville. That pushed water levels up across the sandy beach that circles our bay. And that means that while there are cold spots galore, they are in sandy and near clay deposits and what is lacking is the critical gravelly and rocky beds that the trout seek. 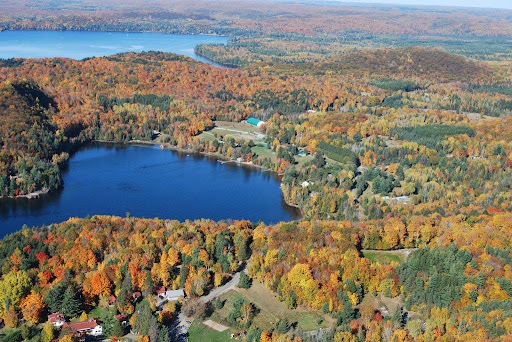 Lake of Bays is one of the few lakes in this area that still supports a healthy population of Brook Trout. 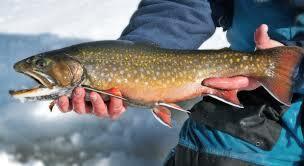 Brook trout (also known as speckled trout) are among the world's most highly-prized gamefish. 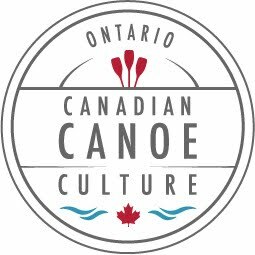 They are found in much of Ontario from the small brooks of southern Ontario farmland to the larger rivers, ponds and lakes of the north. Water temperature is a key factor in determining brook trout habitat. They need a year-round supply of cold, clear water, as well as plenty of cover from overhanging branches, logs, and rocks. Streams with cool, quiet pools between runs of fast water and rapids are typical habitat, as are clear, cold lakes and beaver ponds. The Andrew Daniels Fish Stewardship Program is trying to identify just where in the Lake of Bays these beautiful fish are spawning, and to take steps to improve the habitat. One of those steps will include a Pike Tournament -- an All You Can Catch Marathon. Introduced into the Lake, this is an alien species for this lake, and it has done very well, thank you all the same, by devouring the local trout and bass populations. So, the trick is to get the Pike OUT while improving what gets the Trout IN. To this end, Greg and Joanna are mapping, photographing, locating on GPS and recording temperatures around cold springs. When this gargantuan task is done, we'll have a much better idea of what is where along the shorelines. If YOU live on the Lake of Bays and have cold spots, springs or seeps that never freeze come winter on your shoreling, please get in touch with Greg. 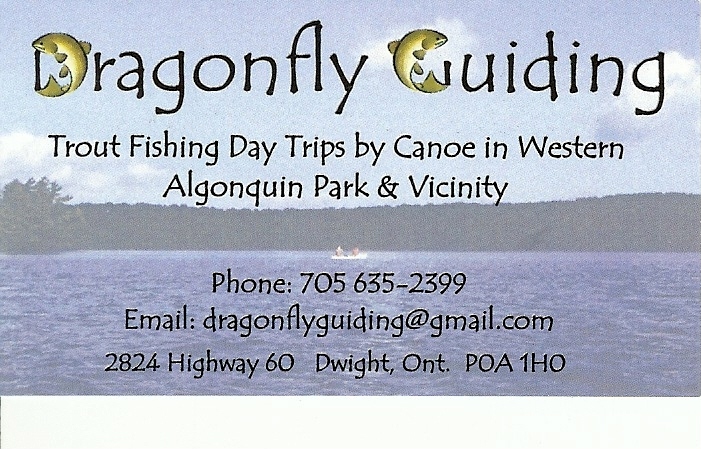 When he's not paddling the shores with his funky thermometer gear, he operates Dragonfly Guiding, based in Dwight. Labels: Andrew Daniels Fish Stewardship Program. Dragonfly Guiding. 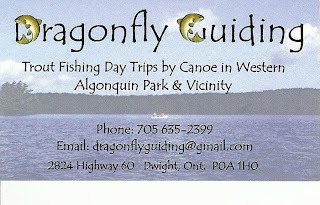 Fishing Trips in Lake of Bays and Algoqnuin. Greg Betteridge. Brook Trout. Spawning habits of trout. At the Weekly Cook-out, along with the hots dogs, fresh corn from our garden, veggies, fruit, bonfire, s'mores (and this week cake) we also hold our traditional Seed Spitting Contest.Now there are those who wold consider this juvenile. That is because they lack soul.It's not just about the Kids... this fun little event brings out the Kid in all of us, and the number of folk who come up to the start line is really impressive. Since they have bred the seeds out of watermelon, we now use popcorn kernels. Clean, plentiful and easy to spot on the dark ground! Also, easy to spot in this first photo -- I've never managed to capture this moment before with my camera, so many thanks to Rob for being the model! You can see from Karen's smile that she's having a blast. It doesn't matter if you can hoik that seed an impressive 39 feet, or a more mortal distance, it's just a hoot and a half to have a go! The kids, of course, are keen to join in, and competition is fierce. But the adults, well, talk about your competitive instincts! Sometimes the cheering section couldn't help getting in on the action. We love how Dominique mirrors her friend Pat's effort... right down to the 'follow through'. Margaret is here from Reykjavik, Iceland, and brought the Viking Warrior Princess approach with her. She is one of the few who can look fierce and gorgeous while ejecting a seed... so well done Margaret!!! There is always a break in the Seed Spitting for the Potato Cannons. This week, Brian tried something different... the introduction of the Zucchinni Cannon. Much to the delight of the ducks and the muskrat... The ammunition, however came apart on launch, and sort of turned into zucchinni fries. Never mind... the event always draws a cheering crowd! It is great to have days like this, where we can all be kids again, and enjoy the really simple and slightly silly things that make Life so wonderful.